Protostack educates us on Pulse Width Modulation. Protostack is back with another AVR tutorial. In this installment Daniel covers everything you need to know about PWM and gives you 3 examples using an Atmega 168. 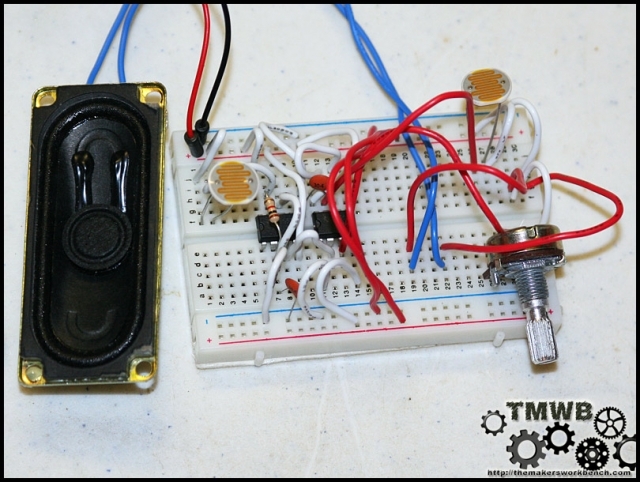 The first two use the existing PWM pins and are fairly common for the experienced AVR enthusiast, the third example however is quite interesting and shows us how to use timer interrupts to create 3 more PWM lines. Keep reading after the jump.... Read more about Protostack educates us on Pulse Width Modulation. Analog to Digital Conversion on Atmega 8, 168, and 328 MCUs part 2. Interrupts. Part 2 of Protostack's AVR Analog to Digital Converter tutorial series covers using a second analog input and adding an interrupt with interrupt. We actually were looking for a tutorial on this exact thing a few months back to use with our Liquiduino PC Water Cooling Info Center. Thanks to Protostack, we can now start work back on the project. 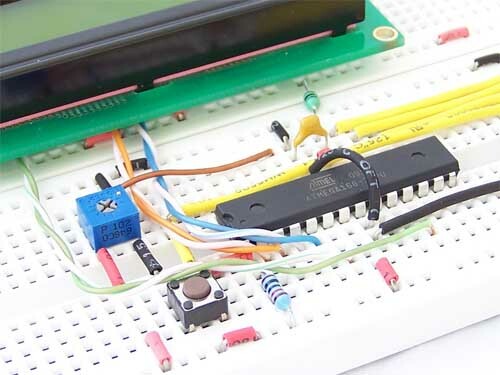 Head over to their site and check out part 2 of the ADC tutorial which makes use of the new version of the Atmega 168, the 168A. While you are there check out their USBASP programmer, and pick up some of their awesome proto boards. Check out the schematic after the jump. 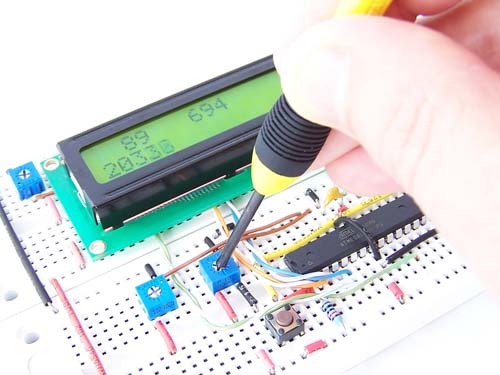 Read more about Analog to Digital Conversion on Atmega 8, 168, and 328 MCUs part 2. Interrupts. 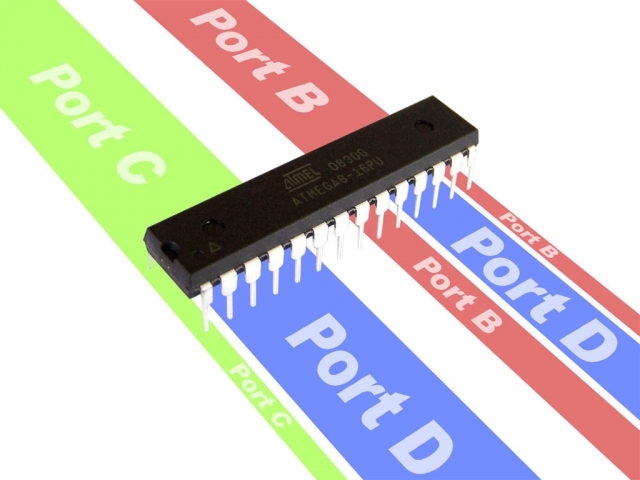 Protostack clues us in on using I/O Registers on AVR Micro Controllers. 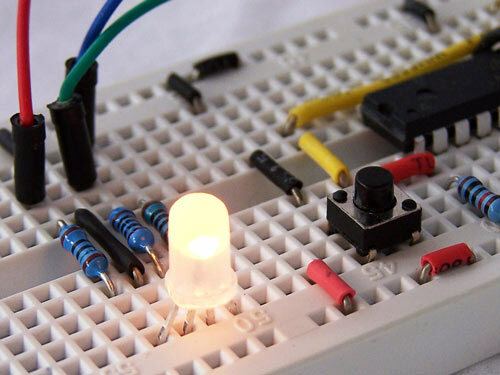 Read more about Protostack clues us in on using I/O Registers on AVR Micro Controllers.